The Open – Shot of the day competition! 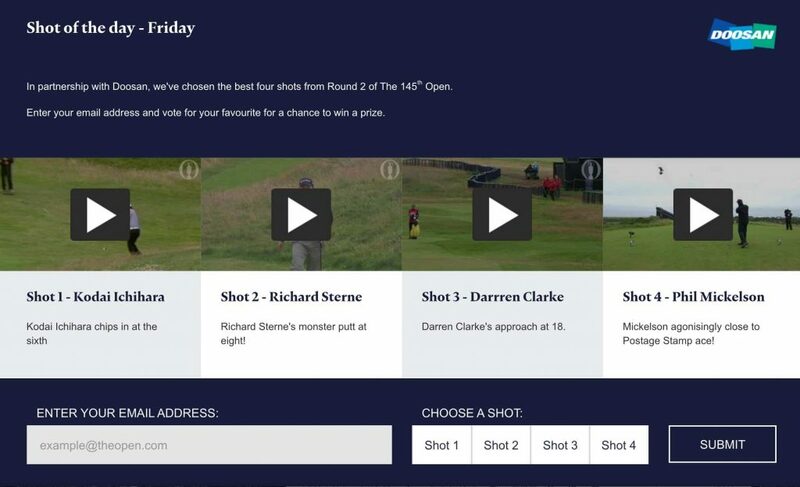 In partnership with Doosan, the best four shots from Round 2 of The 145th Open. Enter your email address and vote for your favourite for a chance to win a prize!